In the sadder times of life, such as when a loved one dies, we are there to offer help and love. 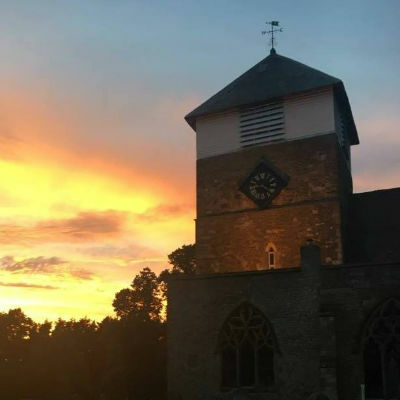 All Marden people are entitled at the end of their life to come into church for a funeral or a memorial service, and we are honoured to create a service that is appropriate. There is a dedicated section in the Churchyard for the interment of ashes. Marden's cemetery is about half a mile from the village centre on the road towards Maidstone and accepts both burials and interment of ashes. If you would like to find out the cost of a Church of England funeral in 2019 please click here. No fee is payable in respect of a burial of a still-born infant, or for the funeral or burial of a person dying within 16 years after birth. A member of our pastoral team is always available to visit anyone suffering bereavement, and can help to make introductions into events and activities in the village. On the first Sunday evening of November at 6.30 pm we have a special service to remember those we have loved and lost. In the early years we invite the bereaved to this service by personal letter. Thereafter anyone is welcome. During this very popular service we light a candle for each person remembered by name.